ACE inhibitors work by blocking the action of a compound in the body called angiotensin converting enzyme (ACE). Normally ACE produces another compound called angiotensin II, as part of the body's natural control of blood pressure. Angiotensin II causes blood vessels to constrict and narrow, which increases the pressure inside the blood vessels. 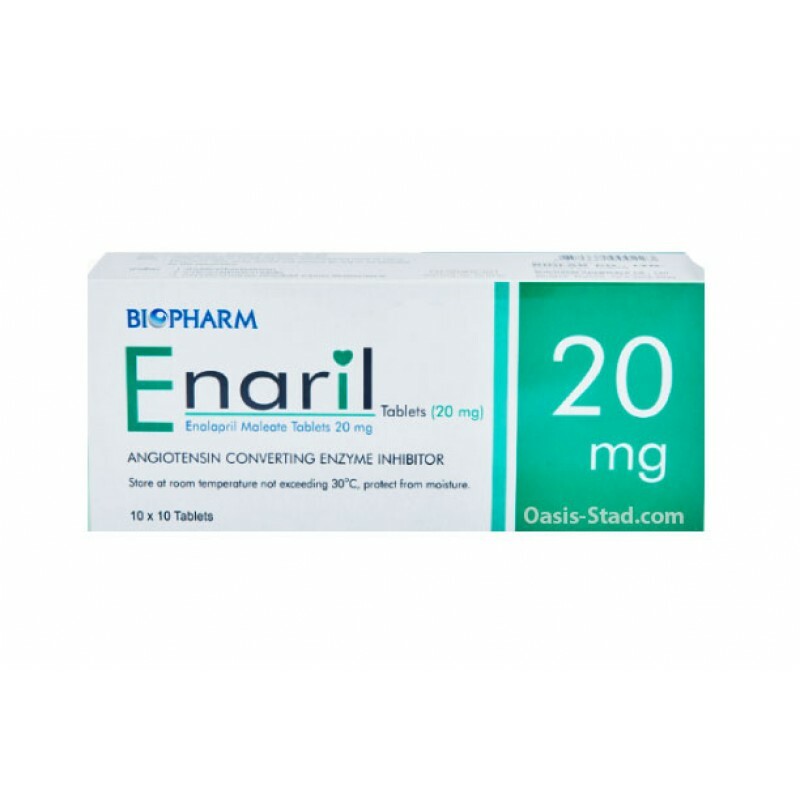 As enalapril blocks the action of ACE, it reduces the production of angiotensin II. This means that the blood vessels are allowed to relax and widen. The overall effect of this is a drop in blood pressure, hence enalapril can be used to lower high blood pressure. The reduced pressure within the blood vessels means that the heart doesn't have to work as hard to pump the blood around the body. This means that ACE inhibitors such as enalapril can also be used to improve the symptoms of heart failure, where the heart is not pumping as efficiently as it should be. Preventing symptomatic heart failure in people with a poorly functioning heart (left ventricular dysfunction) who currently have no symptoms.